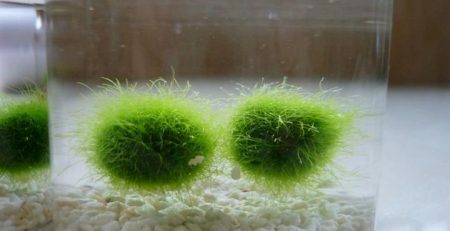 With the recent surge in enthusiasm among collectors and hobbyists for marimo moss balls, a number of our curious readers have asked whether the moss balls are fit for human consumption. 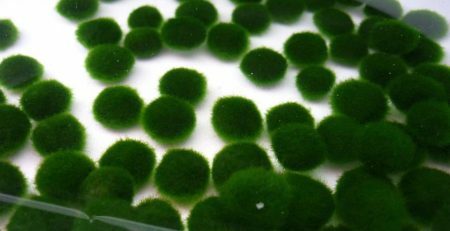 Before we can answer this question, it will be good to cover some of the basics of marimo moss ball biology, history, care and propagation. After all, these beautiful works of natural art are best protected and enjoyed. 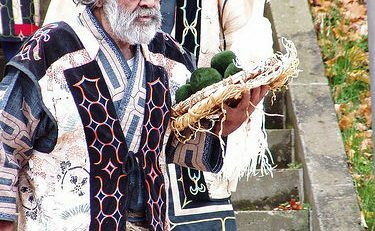 While often sold in aquaria as “marimo moss balls”, the marimo is actually a rare species of freshwater algae (aegagrophilia linnaei) first discovered in 1843 by Dr. Anton E. Sauter in Lake Zeller, Austria. 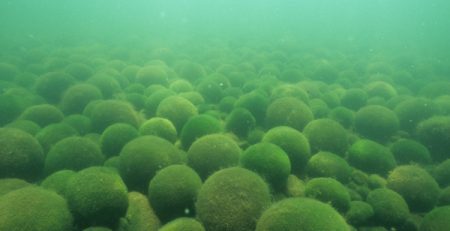 Wild colonies of marimo moss balls can be found in the deep and cool lake waters of Iceland, Estonia, Scotland and Japan, where they were designated a national treasure in 1920 owing to plant’s cultural significance to the native Hokkaido peoples. The unique spherical shape of the marimo ball is the result of the complex interplay between colony dynamics, wave pattens, light availability and underwater currents. 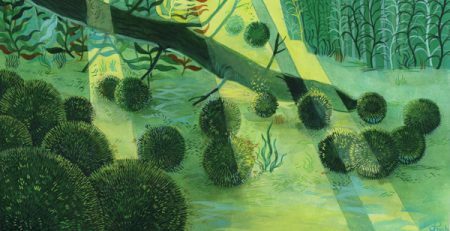 In low light conditions such as lake bottoms, the spherical shape is ideal for photosynthesis given that the ball can photosynthesize no matter its orientation to the surface. 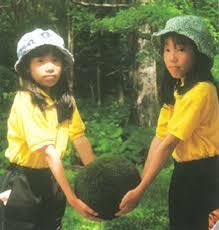 In Lake Akan in Japan, marimo balls can reach 8-12 inches in diameter, slightly larger than a grapefruit. In the domestic setting, marimos are very undemanding and easy to propagate. Marimos require no filtration or aeration but do require biweekly water changes, with tap water being suitable. 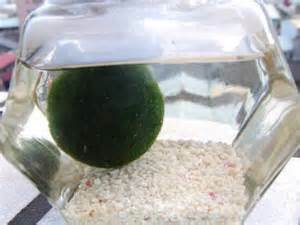 The easiest way to propagate a marimo ball is by dividing the ball into halves or quarters (depending on the ball’s size) and exposing the algae’s inner filaments to light. With proper care new growth will occur rapidly. 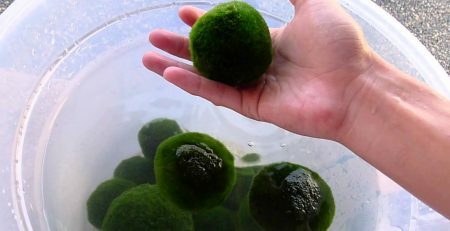 Since marimo balls cannot achieve their natural spherical shape in the artificial environment of an aquarium, most growers will shape the new division into the shape of a ball and then wrap it with a piece of thread.